This past weekend I took my monthly trip to my old home of Morgantown, WV for my girl's bachelorette party! 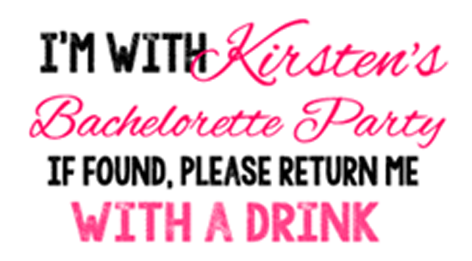 It was the first time I've been to a bachelorette since college, so I wanted to actually help out this time. I decided to take it upon myself to create some bar fun. A couple years back I remember someone asking me to help them with a photo hunt of sorts. 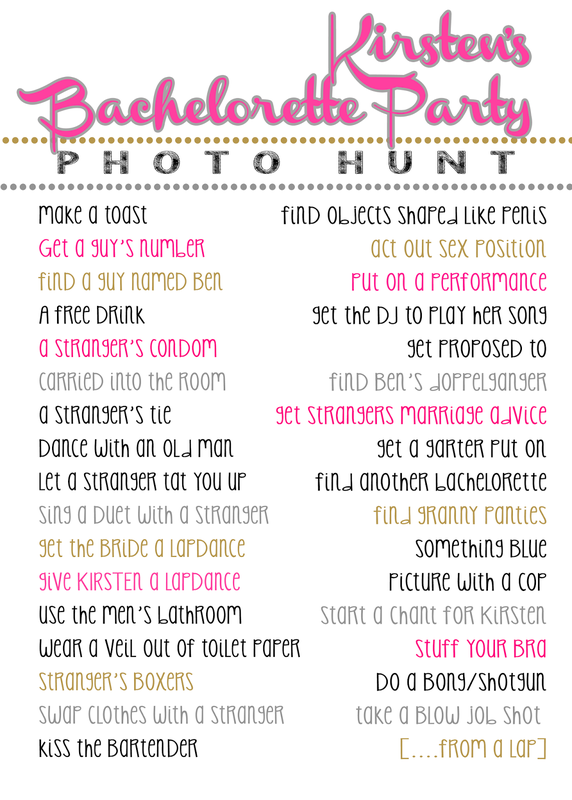 They had a list of things they had to complete that sounded so fun! That was a must. I created this one. Each color was a different number of points, from 1-4, in order of black, pink, silver and gold. Some were generic and some were personal to the couple. 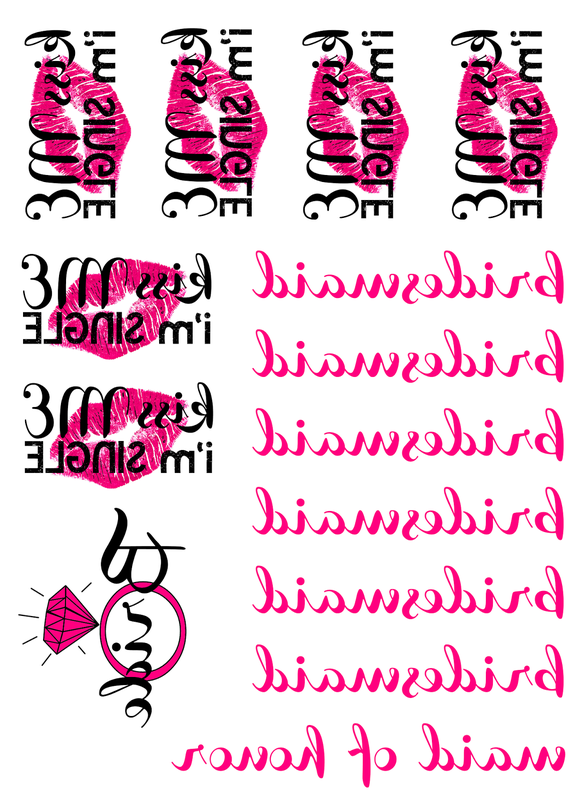 It's kind of plain, but I printed them out on sparkly paper that I got at Michael's and they looked perfect. The prize was a simple martini glass filled with condoms and airplane bottles. That's what's important for such parties, right?!? Unfortunately, everyone was drunk enough by the time we got out that I was the only one that really went for it. Got a lot of the items, got on the mic to do a toast and ask for more.... basically called game over from the beginning. I should learn to be less intense sometimes.... maybe. 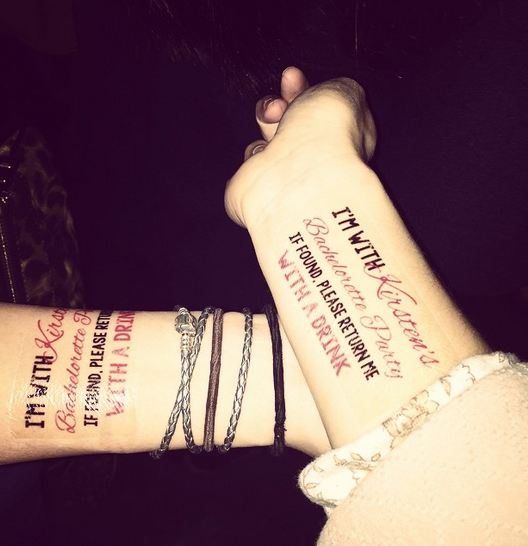 On Pinterest, I saw these personalized tats that were perfect. They said you had to order them from Etsy, but I decided to research a DIY version. 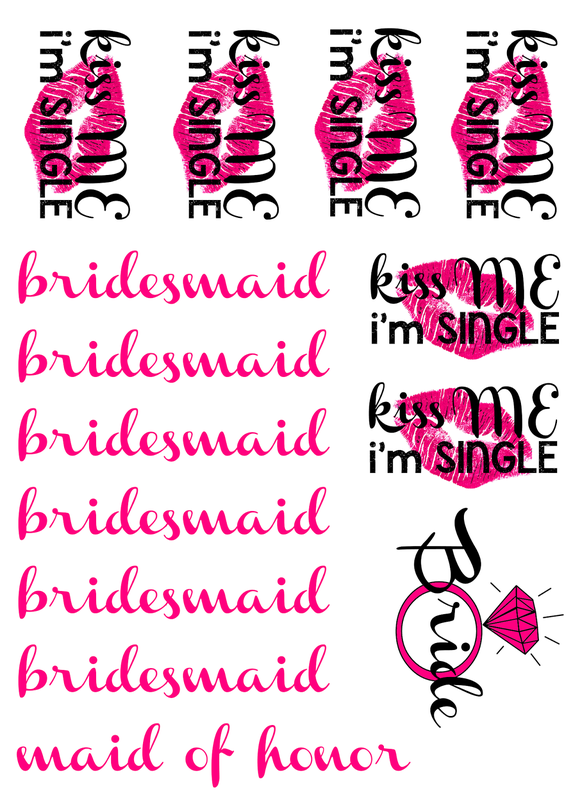 Turns out, all you need to do is order tattoo paper for like $3 a sheet and, as the bride said, YOU HAVE ENDLESS FUN! They printed out kinda blurry because I didn't make the Photoshop file big enough, but they still looked great once they were transferred on! 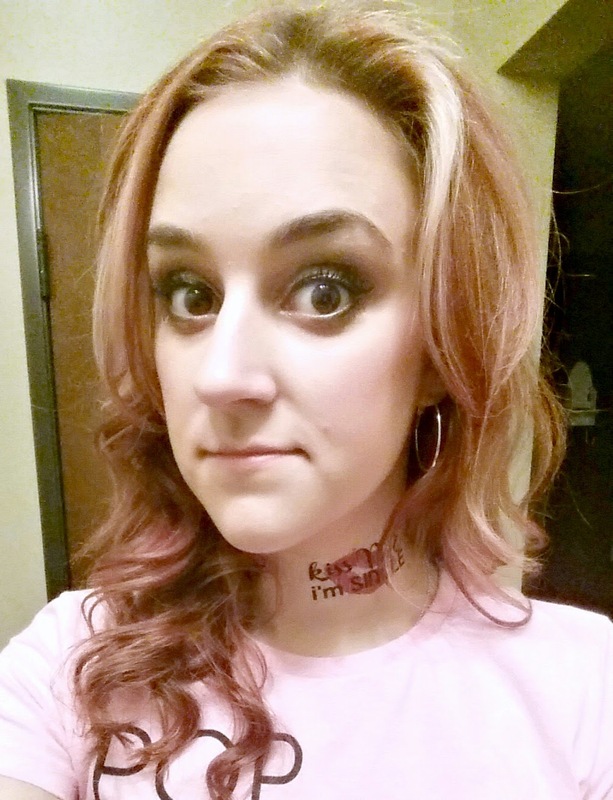 Because I'm classy, I put mine on my neck. They came right off the next morning, almost like a sticker. Pretty sweet. I think I'll be ordering more of this paper. All you do is print it out, put the adhesive on, and BAM! PARTY TIME, YO! It was a prettyyyy solid weekend that made me feel like a cougar around all the younger college kids but also like I can still hang with all of them. What I've needed to come to terms with is that you keep your damn mouth shut when it's the Bachelorette's weekend. What she wants to do, you do. Whether that be raging, napping, eating all the things, etc etc. I'm so used to planning activities that sometimes it's hard for me not to suggest things. I'm growing up..... like .02% a day. This is just a wonderful idea. I am helping my friend with planning her bachelorette party, just a day ago we hired best event rooms for rent and now we are planning for the rest. I will definitely give your idea to her.